Mega-City One, 2081. Judge Joe Dredd's been on the beat for a year, and already seen one of the defining busts of his career, taking down his own clone-brother Rico. He's made tough choices, tackled committed perps, and seen the consequences of his choices come back to bite him. Rookie year's over. 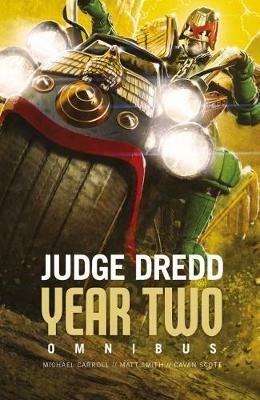 Including stories by Matt Smith, Michael Carroll and Cavan Scott, Judge Dredd: Year Two puts the city's greatest lawman to the test.